In recent years, the use of a term call "Antenna Factor" in EMC and spectrum pollution work has become very important. There has been a great need for measuring field intensity and/or power density as accurately and conveniently as possible. Classically in RFI/EMI measurements, the use use of antenna factors is very common. These antenna factors were, by definition, the conversion of two-terminal receiver voltages to field intensity. This is a very convenient term, particularly when expressed in decibels, and the receiver measures in dB above 1µ volt. Historically, antenna factors were supplied by equipment manufactures, or in some cases, designated in military specifications. In many cases, these factors were used incorrectly because the user did not understand fully the mathematical significance of the antenna factor. It is the purpose of this paper to establish the relationship of antenna factor and antenna gain. 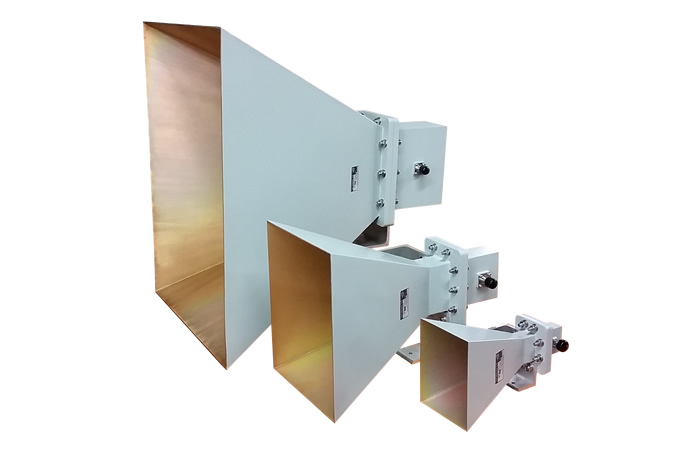 Antenna gain is a common term utilized by antenna design engineers as well as communication electronic system designers the gain is the ratio of the power density produced by antenna at a certain range in a certain direction to the average power density at that range. 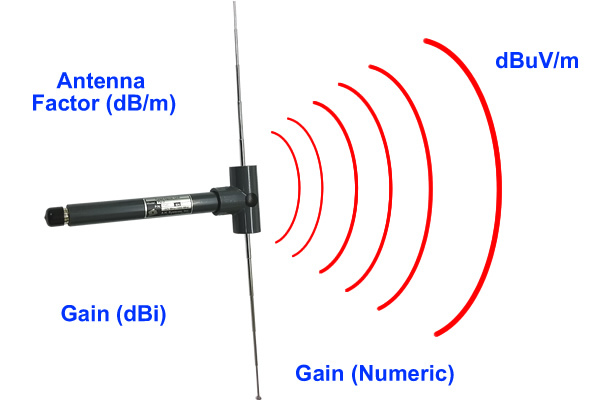 The recent deployment of computer controlled receiving systems with analysis capable capabilities has added a new need for examining the antenna Factor the desired data output from such systems is usually a field intensity Express involve per meter as a function of frequency. From the standpoint of strictly application of antenna Factors it would seem as easy test to store the antenna factor has a look up table in the computers core memory power as we shall see I may not necessary be the most cost effective or the best utilization of computer memory. Loss due to mismatch of impedance between the antenna output and transmission line. Loss due to attenuation of the transmission line. Loss due to VSWR at the and/or the receiver. Gain due to a preamplifier located at the antenna. Although all of the above factors are very real losses of received signal, they may be treated separately and independently. They may be calculated, measured, or obtained from published charts. If any of the above factors are included in an antenna factor, it should be stated so as to avoid misinterpretation. Let us assume a condition where the antenna is so designed that the above five factors are negligible, that is, well-matched antenna output/cable/receiver, short low loss cable, no preamp gain, low VSWR. 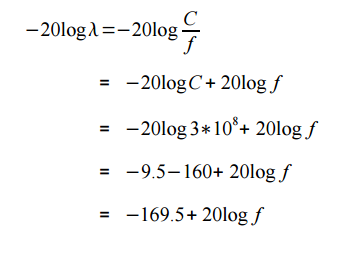 Equation 10 is the general form of the antenna factor as a function of source and load impedance, and antenna gain. 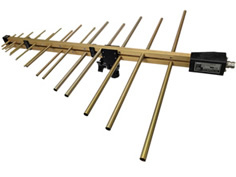 Many practical applications of antenna factors are in "free space" environment. This is, in general, true for antennas used outside which are directive and are not pointed with low grazing angles. When ground effects are to be considered, the source impedance Zo must be modified. Equation 14 is the more useful form of the antenna factor which is a function of antenna gain and wavelength. Many EMC engineers prefer to use frequency rather than wavelength because the measurement instrumentation is calibrated in frequency. Equation 17 is the reduced form of antenna factor for an ideal antenna as a function of antenna gain and frequency.